Compex electrodes are used during muscle stimulation with Compex devices. The electrodes play a big part in the Compex muscle stimulation session. They are the points where the pulses are transmitted to your motor nerves, and ultimately your muscle fibers. If the Compex electrodes aren't adhering properly, the electrical pulse can't be delivered at the intensity needed to work your muscle at peak effectiveness. A Compex electrode is coated with a strong medical-grade adhesive, developed to stick to your skin. 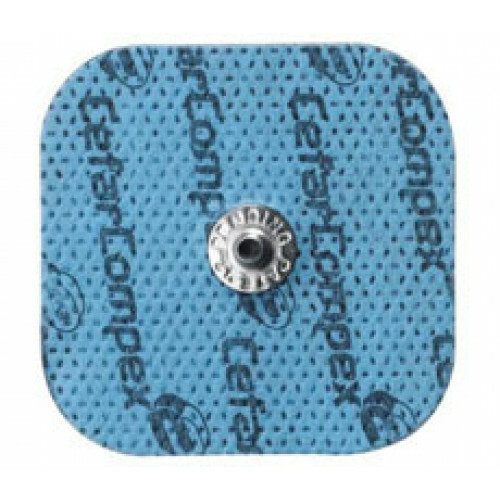 Used in normal circumstances, a Compex electrode should last 15 to 20 sessions. (c) A build-up of lint or dust covers the surface.